Mr. Frost is in his sixth year as principal of Willow Wood Junior High School and has completed his 25th year as an educator/administrator. Previous to being named the principal of WWJH, Mr. Frost was the principal of Tomball Intermediate School for 3 years and was a principal in another school district for 3 years as well. Mr. Frost received his Bachelors and Masters Degrees from Stephen F. Austin State University. Ms. Yarotsky has been in education for 22 years earning her Bachelor of Business in Accounting from the University of Texas and her Masters in Educational Administration from Prairie View A & M University. She taught business and technology classes and served as the CATE coordinator at both Mansfield and Montgomery High Schools. She is beginning her 10th year in Tomball ISD. Ms. Yarotsky looks forward to serving the students of Willow Wood Junior High School and working beside a staff that creates a positive educational environment where each student’s heightened self-esteem leads to a higher achievement and a desire to be a lifelong learner. 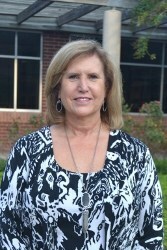 She encourages all students to get involved in a club, fine arts, or sport to be more a part of the WWJH family. 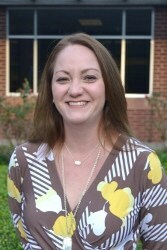 Ms. Maslowski joins Willow Wood Junior High as an Assistant Principal. She comes to our campus from Pasadena ISD where she served as a high school Assistant Principal for 5 years. Prior to becoming an Assistant Principal, Ms. Maslowski was a junior high school math teacher. Stefanie received her Master degree from the University of Houston – Clear Lake and her Bachelor degree from the University of Houston. This is her 15th year in education, and knows it will be the best year yet! Mr. Slaughter started his education career after serving 21 years in the United States Marine Corps. He has 15 years of teaching experience and has taught NJROTC, LOTC, Texas History, and U.S. History. He also was an athletics coach and served in various leadership roles. Before coming to Tomball ISD, he worked in Houston ISD. 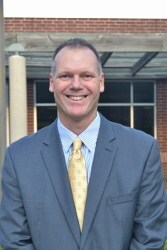 In 2017, he was named Associate Principal of Tomball High School. Mr. Slaughter earned a Master of Educational Administration at Prairie View A&M University, a Bachelor of Arts History at the University of Houston, and a Bachelor of Science in Business Management at the University of Maryland.